A lovely 5½ mile walk through the streets of the Isle of Man's second town, Ramsey, and out up to see the distinctive Albert Tower and its stunning view of the harbour and surrounding coastline. If you are arriving in Ramsey on the Manx Electric Railway, leave the Ramsey station through the station building and head towards the A2 Albert Street. If you have arrived by car, then park in the car park off the A2 on Parsonage Road, and head towards the A2 Albert Street. Cross over Albert Street using the crossing, then turn right, and then left – to walk up Peel Street. Carry on along as the road turns into Bourne Place, and then around to the left – as it turns into Parliament Street. Turn right onto East Street, and cross over West Quay using the zebra crossing. Cross the Sulby River over the bridge and follow Mooragh Promenade as it turns to the right, then the left. The beach will be on your right now, and if the tide is out, you could either walk along the sand, or all way along the Prom. Follow Mooragh Promenade as it turns to the left and starts to climb, and cross over the junction which leaves to the left to eventually meet the A10 Bride Road. Turn left here, and follow the road- crossing over junctions for Ormly Avenue and Thornhill Close to reach the junction with the A9 Andreas Road. Turn left here and follow the road back into Ramsey Town Centre. The A9 turns into Bowing Road and eventually crosses over the Sulby River again. Cross over Derby Road and take a left alongside the Ramsey Town Hall and Library to walk along Parliament Street for a short while – before turning left along West Street. At the end of West Street, turn right along Derby Road to walk along the harbour. Follow Derby Road past the bridge you crossed earlier, and continue along West Quay. At the car park in the middle of Market Place, turn right and head towards St Pauls Church. At the main road, turn left to follow Dale Street, and along onto Queen’s Promenade when the road turns right. Follow Queen’s Promenade past Queen’s Pier, and onto Stanley Mount East. At the junction, carry on as the road joins the A2. The A2 crosses over the track of the Manx Electric Railway and just after turns sharply to the left. There’s a footpath directly after the railway on the right – but ignore this one, and take the one after which carries straight on from the road and starts to climb. Follow this path through the trees to eventually reach the banks of the Ballure Reservoir. Then turn right, and follow the access road as it zig zags up to the A18. Just before the access road reaches the A18, take the footpath on the right which brings you out facing another footpath directly across the A18. Cross the A18 carefully and walk down this further footpath. After a while, the path splits and you take the left route into a field, which can be quite muddy if it has been raining. Follow the public footpath signs around to the right, and follow this path past the phone mast and around to the Albert Tower. Once you’ve soaked up to view from the tower, double back on yourself and take the public footpath on the right down through Elfin Glen down to the famous Ramsey Hairpin on the A18. Follow the A18 back in to Ramsey, and just as Queen’s Pier Road joins the A18 from the right, cross over to walk down Parsonage Road to return to either the railway station or the car park. Information about the island, accommodation and events from the offical website of Visit Isle of Man. Our visit to the Isle of Man to film this walk is featured on the Walks Around Britain podcast. Information about the group aiming to restore the pier, and the progress so far. 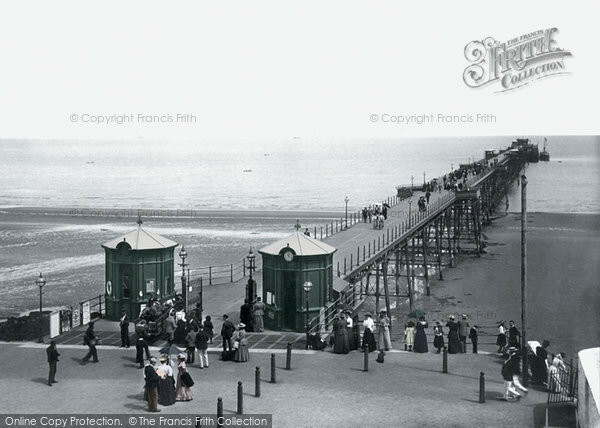 A new report on the progress of the restoration of Queen's Pier.